According to the newspaper, the Trafalgar-class submarine is expected to be in the islands’ waters by April – the 30th anniversary of the start of the 1982 war between Britain and Argentina over the Falkland Islands which Argentina calls the Malvinas. During its upcoming mission in the South Atlantic, the sophisticated submarine, equipped with Tomahawk cruise missiles and Spearfish torpedoes, is due to call at the Falkland Islands capital Port Stanley at least twice, several unnamed sources in the UK Ministry of Defense said on Tuesday. 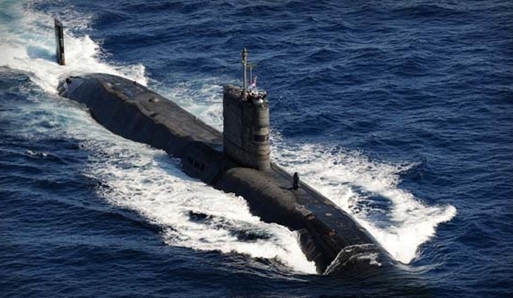 Meanwhile, the UK Ministry of Defense has declined to officially comment on sending its nuclear submarine to the South Atlantic, thousands of miles away from Britain. It is absolutely clear, our political commentator says, that the move is little more than London’s muscle-flexing in the region which is almost certain to exacerbate even further what are already tense relations between Britain and Argentina. The two countries’ war of words has reached an apogee over the past few days. Earlier, Argentina reacted angrily to the Royal Navy’s decision to send its Dauntless destroyer to the South Atlantic. Prince William’s arriving in the Falklands in early February also infuriated Argentina, which described the move as a provocation, lamenting the fact that Prince William arrived on the disputable archipelago in the “uniform of a conquistador.” The British side, in turn, insists that the deployment of Prince William and the warships is “entirely routine”, while Argentina argues that this will damage its national security. It is accusing Britain of militarizing the Falkland Islands, with London bringing charges of “colonialism” against Buenos Aires. It is worth noting that the two nations’ diplomatic friction over the Falkland Islands has intensified since 2010, when British-based oil companies began to show their interest in the South Atlantic seabed. Late last year, Argentina and Brazil banned civilian ships flying the Falklands flag from entering their ports. Buenos Aires also blames London for failing to stick to the relevant UN resolution which urges both sides to sit down at the negotiating table in order to resolve their territorial dispute. The document also warns both sides against any unilateral projects in the waters around the Falkland Islands pending negotiations which are yet to be started. It seems, however, that London is reluctant to adhere to UN recommendations given the irreconcilable stance by top British officials, including Prime Minister David Cameron, who recently reiterated his unwillingness to discuss the sovereignty of the Falkland Islands with Argentina. It is safe to assume that the oil and gas that Britain is going to extract on the Falklands Islands is unlikely to cost even an ounce of the blood that almost 1,000 British and Argentinean servicemen shed for these islands in 1982, our political commentator concludes.